The Natovi Jetty is now becoming a competitive spot with another major shipping company starting its operations from there today. 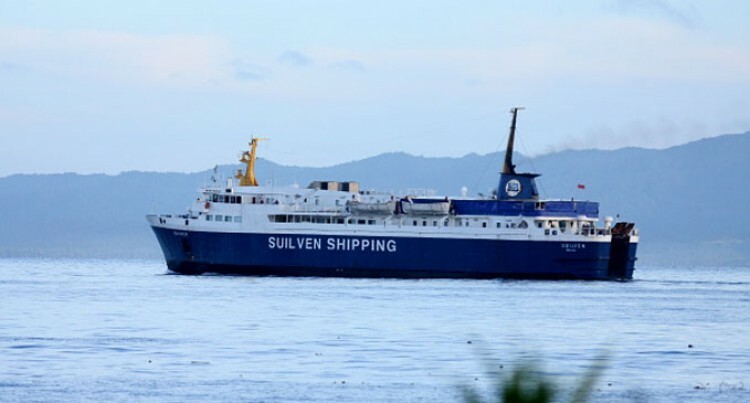 Venu Shipping Limited has confirmed that its ferry MV Suilven will now service their Savusavu and Taveuni route from Natovi. Although questions sent to the company yesterday remained unanswered, a shipping schedule obtained indicated that the buses will leave from the company’s office in Laucala Beach at 7am for Natovi whereby the MV Suilven is expected to depart for Savusavu at 9am before leaving for Taveuni from there at 9pm. Departing from Natovi is a totally new move for the company as the MV Suilven has been carrying out its services the Mua-i-Walu Port in Walu Bay. Patterson Brothers Shipping Company Limited and Blighwater Shipping Company are currently providing their services to Vanua Levu from Natovi. The MV Suilven was formerly owned by Blighwater Shipping Company Limited. The vessel was sold to Venu Shipping after experiencing problem. Bligh Water Shipping had acquired the 3638-tonne MV Suilven from Strait Shipping in New Zealand in 2004. Venu Shipping also operates Sinu-i-WasaTolu, which service the direct route from Suva to Levuka and Sinu-i-Wasa which services the Suva-Vunisea-Kavala weekly route.